Sélection Parcellaire combines a vintage, a terroir, a variety and a vineyard with ideas and trials in the winery in order to create the character and personality of the wine. Our laboratory of taste! 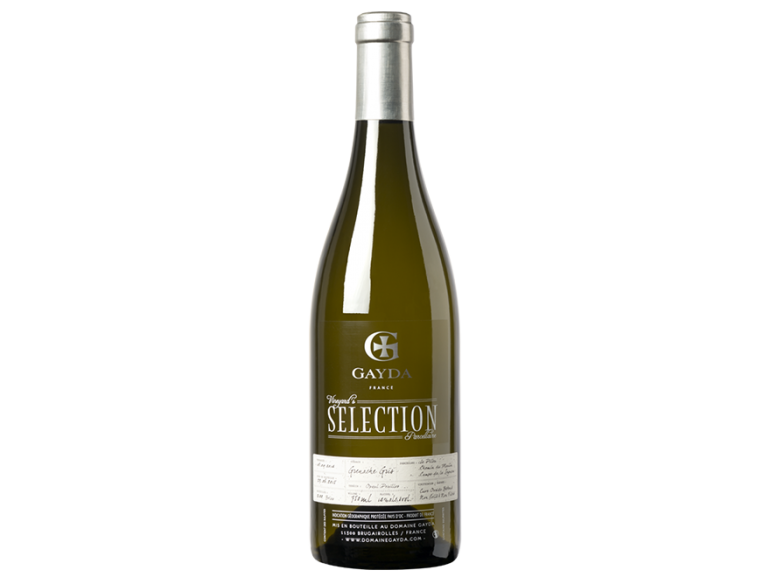 For the 2014 vintage we have selected the Grenache Gris taken from three old vineyards of Grenache Blanc combined with Grenache Gris and other varieties (Carignan, Maccabeu). Whilst the ripeness of the Grenache Gris was perfect, other white varieties required a week longer. Chosen for its originality, its exuberance and purity of fruit and characterised by its floral aromas, its roundness and minerality. A wine out of the ordinary, let it surprise you. “Field Blend” old vines in Opoul-Périllos from specific sites : le Pilou, Chemin de Moulin et Camps de la Segnora. Ageing on full lees for 9 months – Racking off lees for clarification in tank – Bottled at the Domaine.